Email. Send an email through this link. One email should be sent for each giveaway you are entering and you must enter each giveaway separately. The email header should be the word as shown at the end of each giveaway (e.g. GINGERBREAD). You can enter up to a maximum of 5 different giveaways. Make sure you include your name and postal address! Email entry is for registered users only. Facebook. Like and share the relevant competition post and the Parents in Touch Facebook page to enter. Hey, Who's in the Loo? Oh dear - the animals are desperate for the loo! This is wonderfully depicted on the front cover as we see the animals standing with their legs crossed - who's in the loo? First, along comes Bear... but there's someone in the loo. Then Pig - and, no, he's not jumping the queue. More and more animals come along but the door remains firmly shut. Hilarious rhyming text accompanies delightful drawings of the increasingly anxious animals until finally... out steps a little boy with a book. Do the animals want to read it too?...Read on. Red Robin Books have 5 copies to be won. Put LOO as your email header. 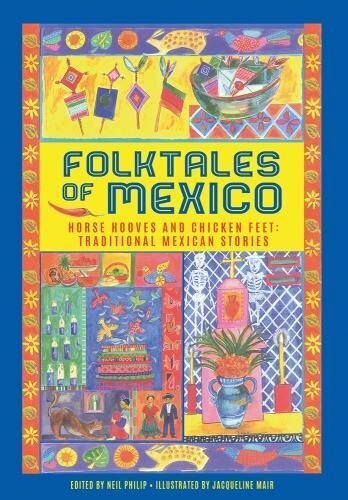 Folktales of Mexico We are probably less familiar with Mexican folktales than with those of many other cultures, so it's lovely to see a complete book dedicated to them. Neil Philip has taken the stories from authentic sources and retold them for today's children. Many of the elements will be familiar from other folktales but they have a stronger element of religion, specifically Roman Catholicism, than is common in other cultures. There are 14 tales here and at the end of the book there are comprehensive notes on each tale, which are really interesting to read. The stories include a witch who turns seven brothers into seven blue oxen and a young man, thrown overboard to drown, rescued by a mysterious shadow...Read on. Anness Publishing have 3 books to giveaway. Put MEXICO as your email header. Little Cooks Co. Gingerbread Muffin Kit It's great to encourage children into the kitchen and they nearly always really enjoy cooking - and eating the results. It can be tricky to make sure what they are cooking is healthy and well-balanced, especially when they are sweet treats, but Little Cooks have got this sussed. Each month they send your little cook a new snack recipe and all the dry organic ingredients to make it. There is no refined sugar, no processed ingredients, just delicious healthy baking with your little ones. We received the Halloween box and made Spooky Witches' Fingers, which were packed with healthy ingredients - ground almonds, cashew nuts, buckwheat groats, chia seeds and flax seeds. I must confess that I wondered whether such healthy options would produce results the children would enjoy, but they loved them - and I was impressed too. It's brilliant to have a sweet option that is so healthy...Read on. Little Cooks have one Gingerbread Muffin Kit to giveaway. Put GINGERBREAD as your email header. ENTRIES FOR THIS CLOSE MIDNIGHT 14TH DECEMBER 2018. Dog Diaries: Happy Howlidays Junior Catch-A-Doggy-Bone and his doggy pals would like to invite you, their furless friend, to join them on the poochiest, most barktastic journey through the Howliday Season. There's Fangsgiving, crisp-mouth and Saint Lick to be enjoyed in this riotous book. The book tunes in perfectly to children's sense of humour and is pretty well guaranteed to have them giggling throughout, at both the story and Richard Watson's entertaining illustrations...Read on. Penguin Random House have 3 copies to giveaway. Put HOWLIDAYS as your email header. OKIDO Magazine I love the concept of OKIDO magazine, and the fact it is intended for children as young as three - the suggested age range is 3 to 7. It's relatively easy to find high-quality science resources for KS1 and KS2 children but OKIDO is brilliant because it taps into the natural curiosity of younger children, as well as continuing to extend that curiosity as they get older. We were sent two magazines to review. The first, issue 65, is all about coding and includes stories, experiments, games, doodles, a recipe and a poem; there's even a secret code machine. The mix of activities works well and really help children to grasp this complex but essential subject. Our second issue, 66, is Heart and Blood and the special activity in this is making a body puppet...Read on. OKIDO have one 12 month subscription to giveaway. Put OKIDO as your email header. Pepper Mint in The Great Tree House Adventure STEM Kit In this story-based STEM kit, Pepper Mint visits her aunt who is a scientist researching primates. She lives in a treehouse in the rainforest on the island of Borneo. The treehouse is not connected to the electrical power grid, but Pepper Mint and her aunt devise mechanical inventions to accomplish various tasks. They equip the treehouse with mechanical equipment using pulleys, winches, and gears, and learn lessons in physics. Projects include a rope ladder, a pulley to lift heavy objects into the treehouse, a rubber-band-powered lift, a rotating palm leaf umbrella, a zipline, a catapult, and a trap door. At the end of the story, Pepper Mint wires up a string of LED lanterns using conductive thread and a battery holder to light up the treehouse in the dark jungle night...Read on. Thames & Kosmos have 1 kit to be won. Put ADVENTURE as your email header. Lots of Frogs This rhyming story is perfect to read aloud and children will respond well to the rhythmic text that flows so well. It's Show and Tell time and Tommy Fox has a box - a box full of frogs. But things don't go to plan when they all jump out at school when Tom sneezes; there's chaos in the classroom and high jinks in the hall. Can Tommy get the frogs back in the box? Finally, he does but... oh. no!...Read on. Hachette have 5 copies to be won. Put FROGS as your email header. Metallic Markers - This versatile set of metallic markers comes with five pens - green, blue, pink, gold and silver. The pens are ideal for scrapbooking, greetings cards, labels and general crafting, as well as for adding special extra touches to colouring pictures. Noris Colouring Pencil - Colouring pencils are a pencil case essential and these improved colouring pencils are perfect, with plenty of features that make them practical and durable. The coloured pencils are made from the enhanced wopex material, a useful production process which is a special blend developed by Staedtler. Triplus Fineliners - These Fineliners have an ergonomic triangular shape which helps children to hold the pens correctly. The superfine metal-clad tip with a line width of approx. 0.3mm is ideal for precision work and perfect for relaxing, stress-busting colouring for children and adults. Wax Twister Crayons - If you're anything like me, you get very fed up with finding broken wax crayons all over the place. It seems inevitable that children press hard with their crayons and normal wax crayons just can't cope... and that's where these are such a great idea. Noris Club Fibre Tip Pens - The 12 vibrant colours of these fine nib fibre tip pens have a 1 mm line width. U sefully - and parents will welcome this - these fibre tip pens use a food dye ink which means that the colour can easily be washed out of most textiles. Noris Club Gel Crayon - This comes as a pack of six assorted colours - yellow, orange, red, purple, blue and green. These chunky crayons are perfect as first crayons with their fun twist and colour concept...Read on. Steadtler have one set of 6 packs of pens to be won. Put PENS as your email header. 3Style Scooter - RGS-1 3 Wheeled Scooter In recent years, scooters have become an increasingly popular means of getting around. They are perfect for the school run, especially in view of the congestion around our schools and consciousness of trying to reduce pollution. The 3Style Scooters® RGS-1 Three Wheel Kick Scooter, is the No.1 selling Kids Scooter on Amazon.co.uk. 3Style Scooters have been selling their RGS-1 (3+), 2 (5+) & 3 (7+) scooters over the last 4 years and now, due to the company’s success, they have completely redesigned their products, packaging, website and instruction guides. We love the fresh clean look of the green scooter we have received and children will really respond well to the stylish new look which will definitely draw admiring glances. It's not just the look, though. The scooter is really well manufactured with plenty of safety and practicality features. One of the prime benefits of scooters is their portability and the RGS-1 folds down quickly and neatly and is easy to transport in folded mode (and fits neatly into the car boot), weighing only 3kg). 3Style Scooters have 1 RGS-1 Scooter to be won. Put SCOOTER as your email header. Set of Jack Dash Books The title and the humorous cover image immediately tell us this will be a hilarious story. Jack Dash has a magic quill pen that makes drawings come to life... what a wonderful theme for a series of stories. This is highly topical - Jack's mum is taking part in the local Cake-Off Competition at Castle Custard. She's up against the unbeaten champion, Dr Spleen. But Jack and Coco can t keep away from trouble, causing more chaos than you'd think possible... or perhaps not, if you've read the previous stories! And just where does the herd of hairy yaks come in? Fantastic characters abound and they get better with each book in the series...Read on. Catnip Publishing have two sets of all 3 books in the series to giveaway. Put DASH as your email header. Except for the items indicated which close on the 14th December, all the rest of the Giveaways entries close 31st December 2018.